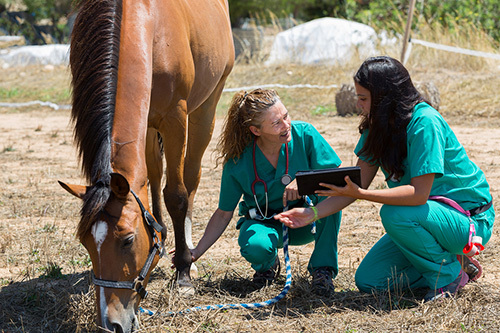 Designed, developed and tested by industry leading veterinarians, HVMS (Hospital & Veterinarian Management System) has emerged as the benchmark software platform for equine and large animal veterinarians around the world. HVMS combines all the features and reporting needed to best manage today’s equine veterinary practices. HVMS software was designed to be flexible, configurable and adaptable for every aspect of equine veterinary practice management. HVMS is an advanced practice management platform with ability to run anything from a single clinic to a multi-state, multi-country hospital from one database. 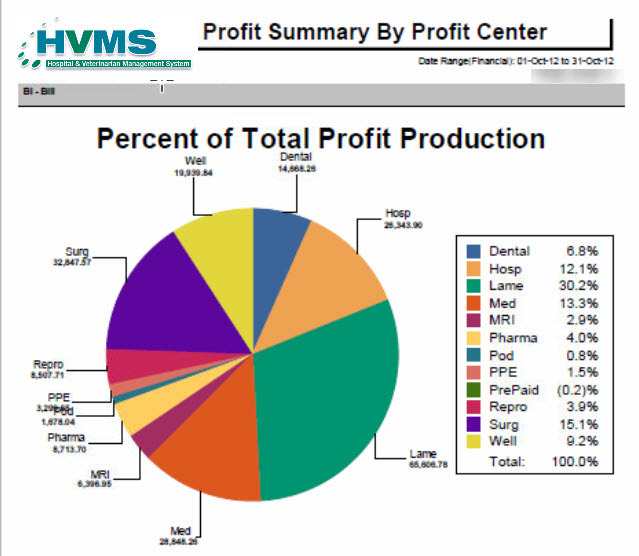 HVMS veterinary practice management software combines the required functionality of PIMS with advanced functionality that creates a superior platform technology for veterinarians. HVMS enables equine veterinary practices to transition from “gross based” accounting to a more appropriate focus on the actual profitability of procedures and medications. Variety of options for calculating doctor compensation including production and/or profitability, against gross, collected and even penalized aging AR. 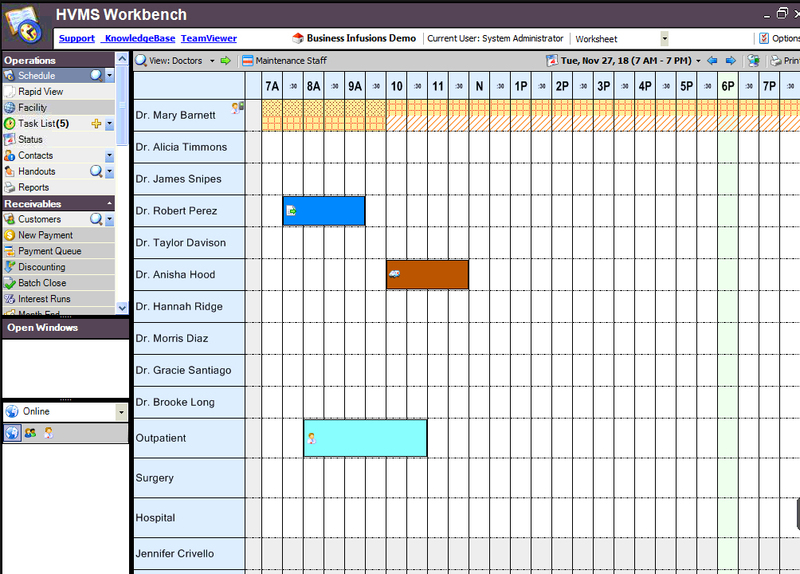 HVMS Scheduler organizes the daily practice worklist by managing and displaying appointments or tasks by doctor, by locations or even by trainers. Customized digital exam forms, admittance forms, discharge sheets and more that are veterinarian specific, automatically generating medical record history, invoices, and inventory transactions. HVMS Facility Manager and Treatment Plans directly integrate with medical record worksheets and the Whiteboard to bring a complete solution to your outpatient and hospitalized cases. An offline and user-friendly hospital and ambulatory tablet application allows stall side patient/client record access in the field without wireless connectivity. 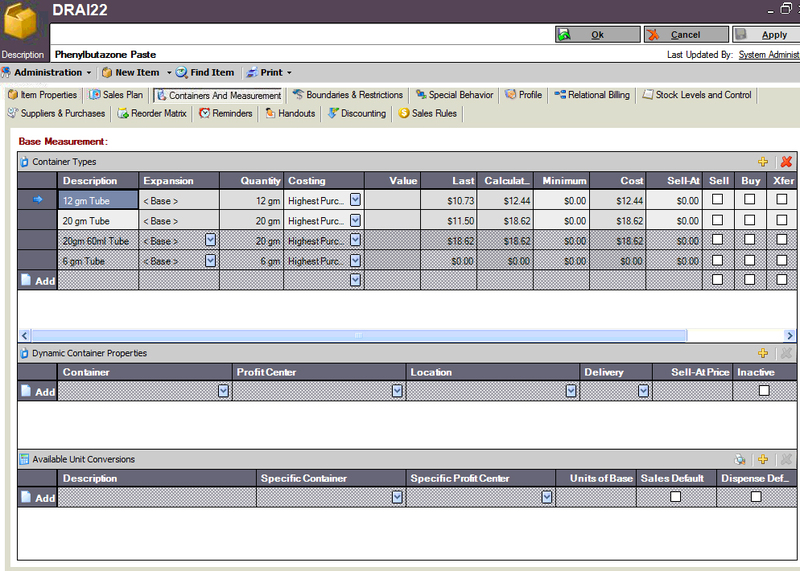 The HVMS field billing module was designed with speed and ease of entry in mind. If a veterinarian can walk up and down shed row without a point and click system, it CAN work. 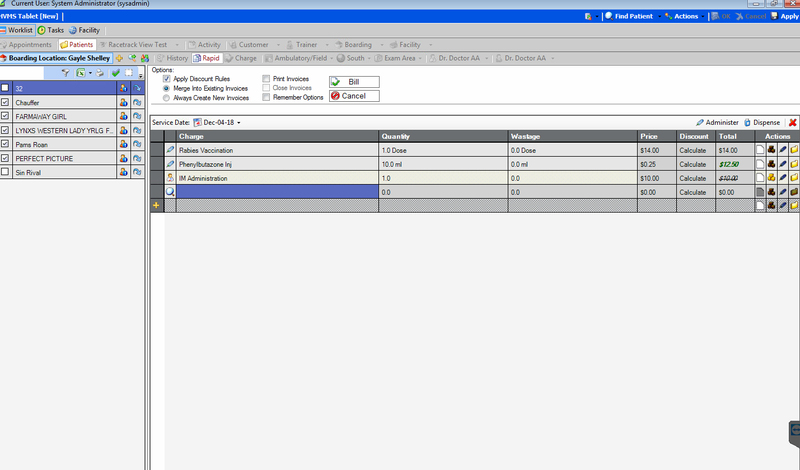 Pre-set products and quantities (optional) for single click accurate dosages. 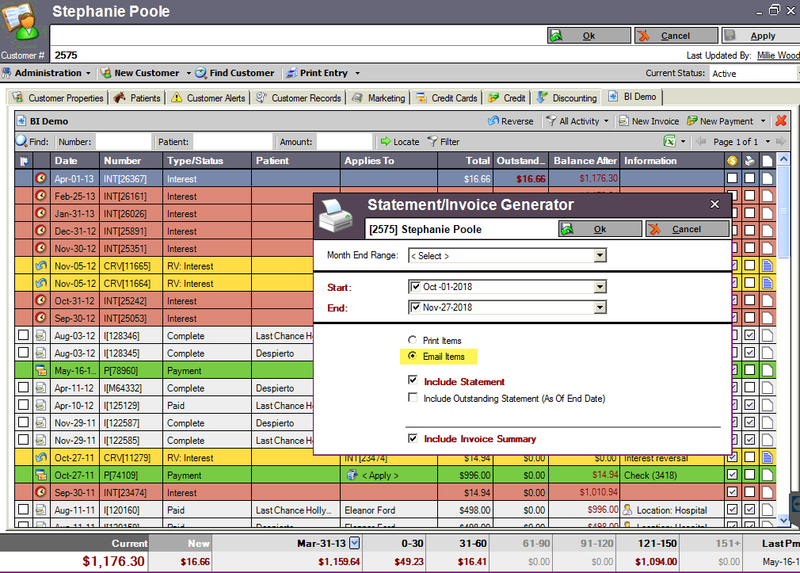 Totally configurable charge sheets for products/services. Have any number of specific sheets (i.e. 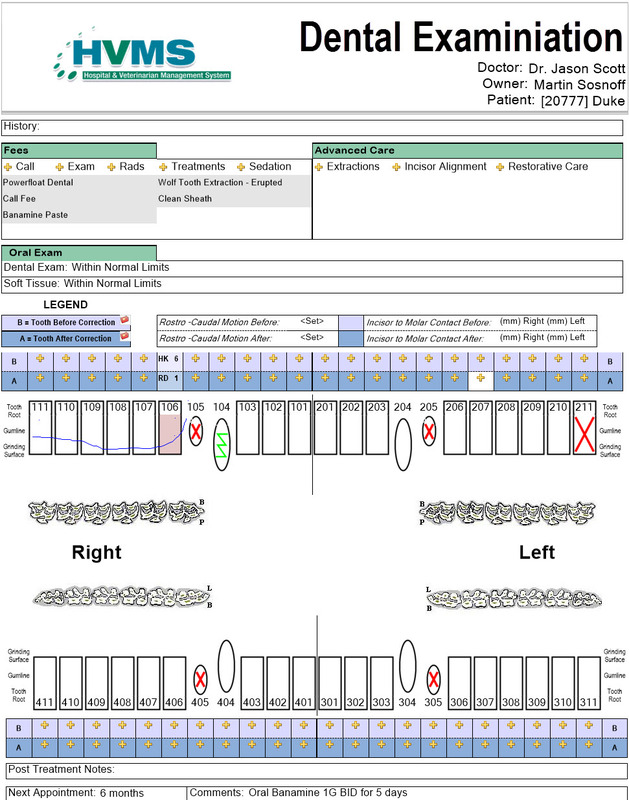 Racetrack/Reproduction/General Field Billing), with their own customized interfaces, even allow doctors to have personalized quick sheets. 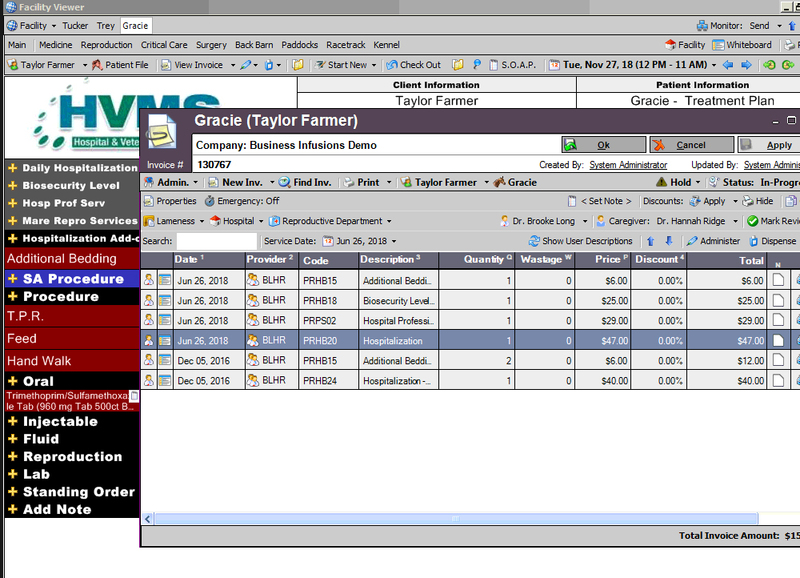 Create medical record, extract inventory, add charge to invoice in that one single click. How much money can your practice save by emailing treatment reports and client statements at time of service? Email to clients is a simple concept and a money maker. HVMS utilizes an internal computer network and reliable internet connections to properly operate. A central computer server is required to store an SQL database, which all HVMS user computers, laptops and tablets will utilize to connect to for sending and retrieving information and data. Updates: Windows Server 2008 R2, 2012 and 2012 R2 and Windows 7, 8 and 8.1 Pro are supported by HVMS. 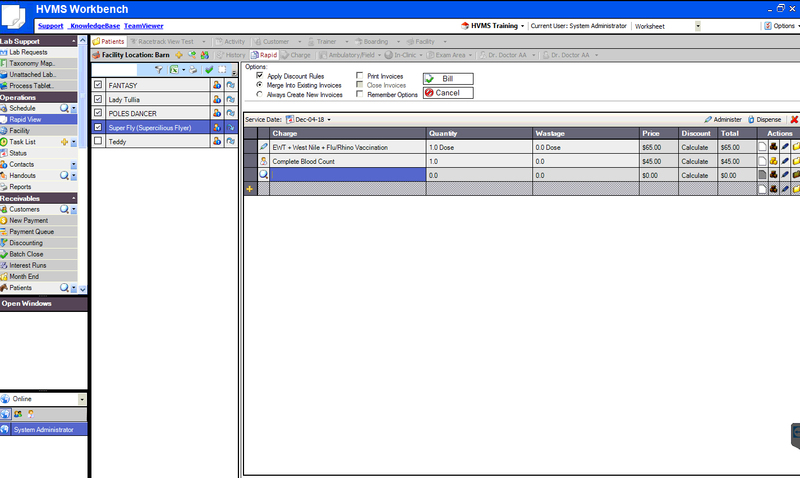 In addition, HVMS can now also be run on SQL 2014. Please contact us if you have any questions about HVMS hardware compatibility. Below are some general minimum requirements, we can also provide minimum and recommended specs based on the size of your practice and number of users. 150GB ‘Database’ Partition that has a cluster size of 64K (versus the default 4K). This partition will only be used for SQL Server Database storage (data file, log file, tempdb). Keeping the database partitioned ensures that the database files are not fragmented across the physical disks. Final partition made up the remaining data and designated as a ‘Data’ partition. This is where the install files for HVMS will reside along with other general files and database backups. It is highly recommended to have multiple RAID arrays for all SQL Server installations beyond a single array with multiple partitions, contact us for more details. SQL Server 2014 x64 Standard (5 cals) (32 Bit Versions Not Recomm * Note – We do not yet support SQL Server 2016. HVMS utilizes internet connections for for a number of features. For this reason, you must have high-speed, reliable internet connections for HVMS to operate properly. Important Note: HVMS will not function properly through satellite internet connections. The time delay in information being transferred through satellite internet is too slow that if often results in database queries timing out. In particular, current satellite internet technology sees information upload rates that are about 1/10th the speed of download rates, much too slow for HVMS requirements. * Note – We do not yet support SQL Server 2014.